The library is the one academic space at UC Davis that is equally available to all students across all disciplines and can provide shared study spaces and technological resources that are not available in every department on campus. Sustaining a world-class library that truly meets the needs of today’s students is one of the few initiatives the university can undertake, in partnership with our donors, which will touch them all. The library supports students by creating study oases, upgrading our electronic and physical resources, offering classes on how conduct research and validate information sources, providing consultative services for specific projects, and awarding student prizes to promote and reward excellence in undergraduate information research. There is no other place on campus where you can directly affect the teaching, learning and research opportunities of all UC Davis students more so than through a gift to the UC Davis Library. “Before this class, I would have just been using Google. 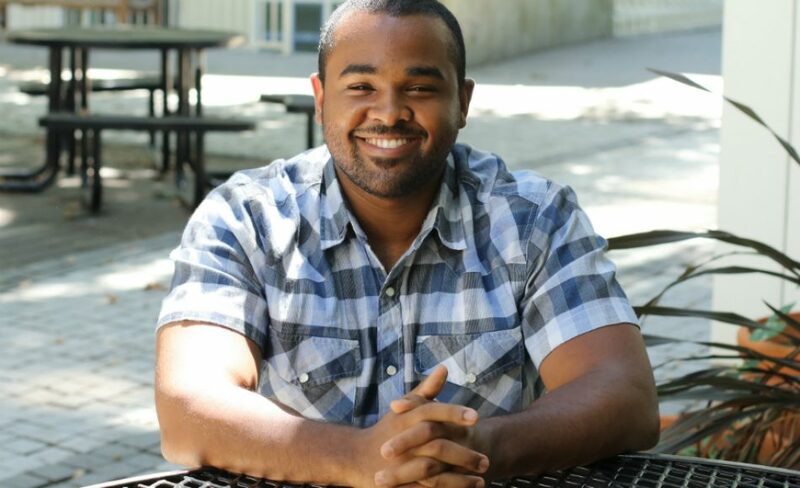 Now I know what to do.” Learn how the library’s Introduction to Information Research class helped prepare environmental toxicology major Garrot McCune for a career in research. The Library Annual Fund provides the university librarian with flexible funding to support students by responding to pressing needs and emerging opportunities. Donations of $1, $5, $20 or more to the Library Annual fund add up to make a difference for the student experience at the library. 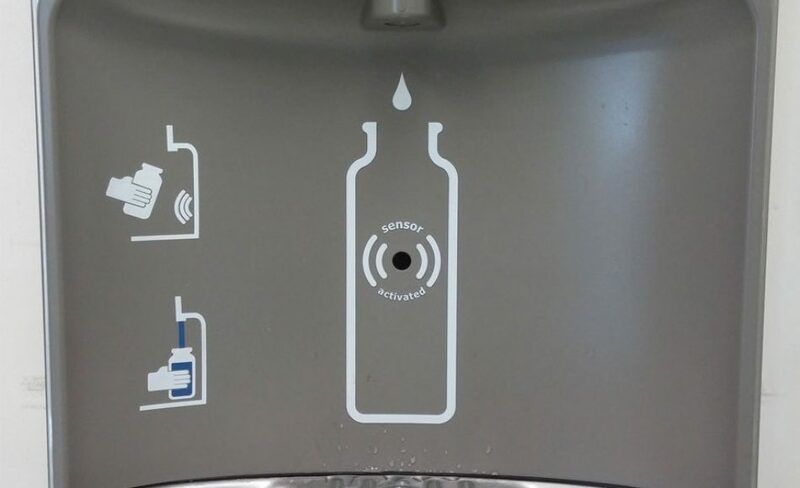 Find out how Annual Fund donations brought water and power to students at Shields. 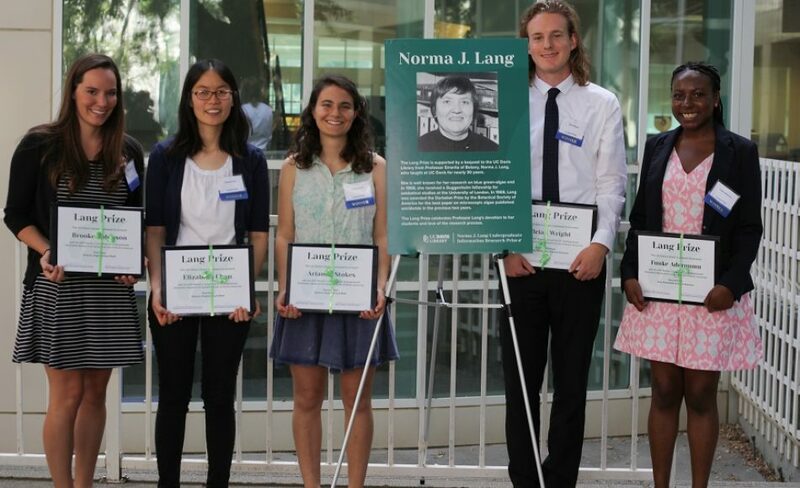 Each year, the library awards the Norma J. Lang Prize for Undergraduate Information Research to six students who have made exceptional use of library resources or expertise for a class or research project. The prize is funded by a bequest from the late UC Davis Professor Emerita of Botany, Norma J. Lang.